The first book in an international book series for which our own Xavier Aldana Reyes is chief editor has been published. Re-envisaging the First Age of Cinematic Horror, edited by Xavier Aldana Reyes. 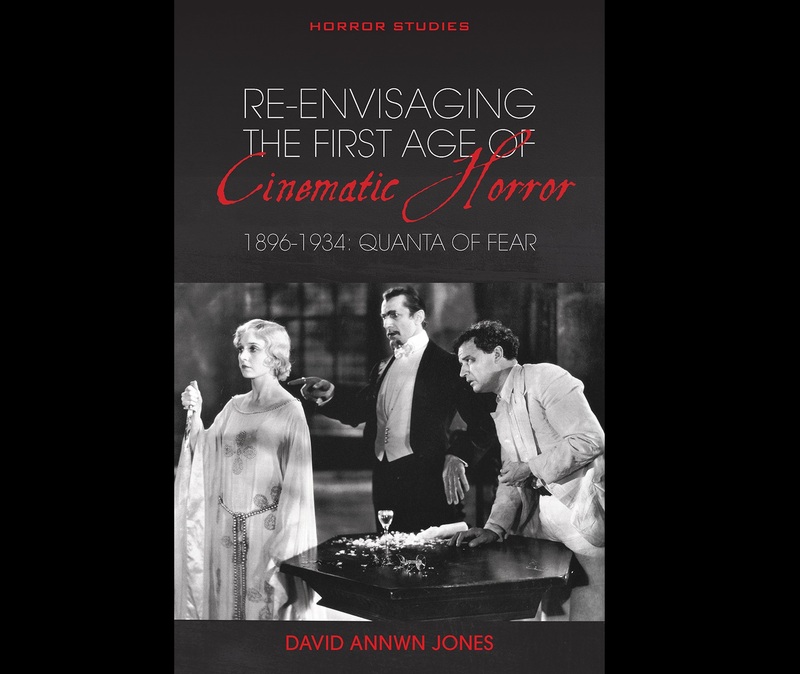 The book is called Re-envisaging the First Age of Cinematic Horror, 1896-1934: Quanta of Fear, by David Annwn Jones, and the series is published by the University of Wales Press. For more information, click here. Horror Studies is the first book series exclusively dedicated to the study of the genre in its various manifestations - from fiction to cinema and television, magazines to comics, and extending to other forms of narrative texts such as video games and music. Horror Studies aims to raise the profile of Horror and to further its academic internationalisation by providing a publishing home for cutting-edge research. As an exciting new venture within the established Cultural Studies and Literary Criticism programme, Horror Studies will expand the field in innovative and student-friendly ways. The editorial board includes leading international academics from the UK, the USA, Canada, South Korea, Ireland and Switzerland. At least another 10 contracted volumes will follow suit between 2019 and 2021 on topics such as videogames and horror, RPG horror and horror theory. Dr Xavier Aldana Reyes is Senior Lecturer in English Literature and Film, and a founder member of the Manchester Centre for Gothic Studies at Manchester Met. He specialises in Gothic and horror film and fiction, and his publications in this area include the monographs Spanish Gothic: National Identity, Collaboration and Cultural Adaptation (Palgrave, 2017), Horror Film and Affect: Towards a Corporeal Model of Viewership (Routledge, 2016) and Body Gothic: Corporeal Transgression in Contemporary Literature and Horror Film (UWP, 2014), and the edited collections Horror: A Literary History (British Library Publishing, 2016) and Digital Horror: Haunted Technologies, Network Panic and the Found Footage Phenomenon (co-edited with Linnie Blake; I.B. Tauris, 2015). He is also chief editor for the University of Wales Press's Horror Studies book series. Outside the Gothic and horror, he have strong interests in affect studies, film theory, critical theory and contemporary (postwar) literature. Previous Story Manchester Writing School alumni, Paul Stephenson publishes in Laldy!